For years now, I've known there was something wrong when my well-meaning anti-Zionist Jewish friends found it necessary to join Jewish anti-Zionist groups opposing Israel. 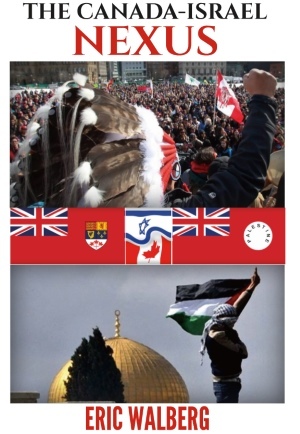 In the US, Jewish Voice for Peace, in Canada, Not in Our Name; in Britain, Jews Against Zionism -- every country has its group, usually more than one. "I am a Jewish witness against Israel," I would be told. Sounds good, even brave. Sand's latest deconstruction of Jewishness and Israel, How I Stopped Being a Jew (2014), makes it clear why my suspicions were well founded. 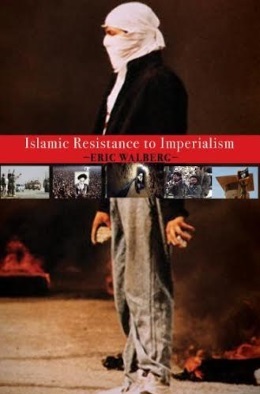 Barely 100 pages, it is a page-turner, a precis of his earlier more scholarly works, arguing that the romantic, heroic age of Jewish nationalism, as embodied in the creation of a Jewish state, is coming to an end. 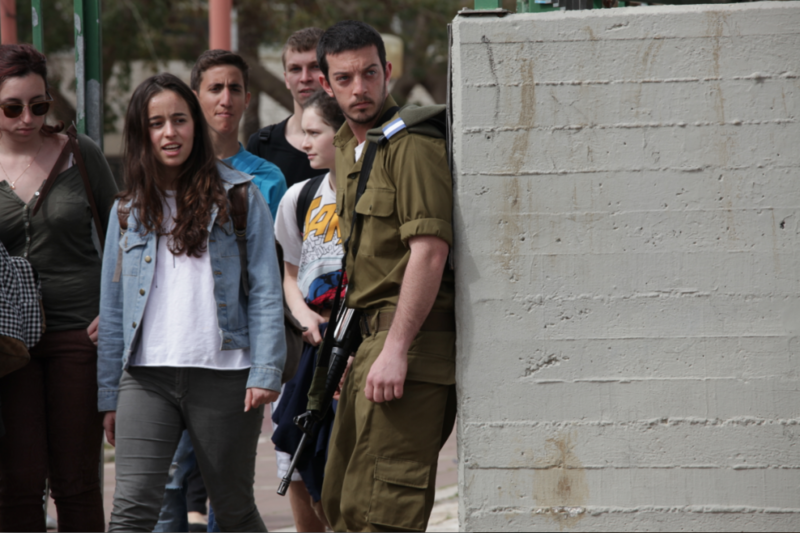 Israel will not disappear, but it is an anachronism, an embarrassment in the postmodern age. A reminder of the horrors of Nazism, but not as the Zionist crafters of the "holocaust industry", or "holocaust religion", would have it. The Zionist project is exposed by Norman Finkelstein, Noam Chomsky, Gilad Atzmon, Israel Shamir and many more Jewish critics as reenacting the same policies of yesteryear. A flawed answer that is doomed, "an insidious form of racism". For the Israeli Sand, the Jewish "national" identity is a fraud (an Israeli identity is fine); the only viable Jewish identity is a religious one, and as a nonbeliever, he logically concludes, "Cogito, ergo non sum." Gilad Atzmon takes Sand's logic further. He tore up his Israeli passport, becoming an ex-Israeli as well as an ex-Jew. What's so wrong with a secular, ethnic Jewish identity? Well, it can be based on only one of two things: persecution (being "forced" into being a Jew whether one likes it or not, as in the Nazi's racial laws) or being "born" into the Jewish people. The former is no longer an issue and the latter is full of holes, and based on a dangerous myth. When was the Jewish People invented? 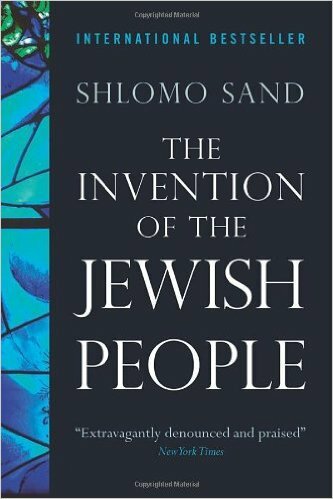 Sand's answer is simple: "At a certain stage in the 19th century, intellectuals of Jewish origin in Germany, influenced by the folk character of German nationalism, took upon themselves the task of inventing a people 'retrospectively', out of a thirst to create a modern Jewish people." For Jews, this required a homeland, and the westernized Jewish elite were able to provide this. As the West suffered one mortal blow after another (WWI&II), Zionism took on a new meaning. Voila! Israel. But the exile legend is a myth. Sand is a historian and couldn't find any texts supporting it. The Romans did not exile peoples. "Judaic society was not dispersed and was not exiled." Jews continued to live in the Holy Land through thick and thin, freer under Muslim rule than Christian, but even the latter never "ethnically cleansed" them. Most converted to Christianity or Islam. Voila! The (Christian, Muslim) Palestinians. 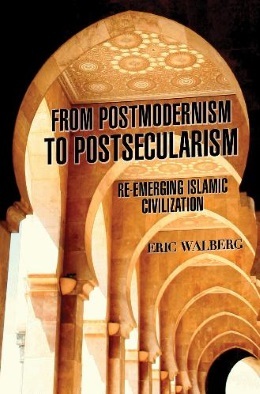 However, a tiny core stuck stubbornly to the original monotheism, nurtured by the Babylonian exile in the 6th century BC (the only bona fide exile--from which they returned, the earlier Egyptian exile legend being crafted much later, when the Torah was written down and collected in the 3rd century BC). Jews are not a race but rather a collective of many ethnic groups who were hijacked by a late 19th century 'national' movement. There is no racial or ethnic basis for being Jewish any more than there is for being Christian or Muslim. The great majority of those who today consider themselves Jewish are descended from converts in Central Asia, eastern Europe and north Africa, not from ancient Hebrews expelled from the Holy Land by the Romans. They are not ethnic “Semites”, of near eastern origin, or ethnic anything else. Atzmon is a noted jazz musician, and deconstructs a popular 1970s Israeli pop song by Shlomo Artzi: All of a sudden a man wakes up in the morning. He feels he is people and to everyone he comes across he says shalom. Artzi's youth suggests Jews suddenly became "people" thanks to the state of Israel, conflating being Jewish with being Israeli, suggesting only Israelis can really feel free as Jews. What Artzi ignores is that feeling proud to be an Israeli is only for those Israelis who have "Jew" stamped in their passport, and, among them, only those who are blind to the bloody colonial basis for this privilege. Hardly a recipe for a healthy feeling. Can a liar tell the truth? Israel is a “democratic and Jewish state” according to Israeli law. The "Jewish" nature was first defined in the Declaration of Independence of 1948. The "democratic" character was added by the Knesset in 1985. This is a contradiction in terms, as Jewish by definition determines the state according to race, making it undemocratic for those in the state not Jewish. In cartesian lingo, both 'A' and 'not A' are true. This flawed logic now lies at the heart of what it means to call oneself a secular Jew, either Israeli or 'diaspora'. Sand joins other ex-Jews, Gilad Atzmon, Israel Shamir, and Will Self, who have renounced Jewishness, either as secularists, or as converts to Christianity, shedding a contradictory, now empty, signifier. Given what Israel has become, "democratic" and "Jewish" are no longer compatible. Sand rejects the faux Jewish nationalism served up by Zionism, which excludes non-Jews from the narrative, and is left with nothing except himself, his books, his sense of right and wrong. A lonely world. 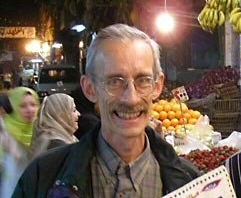 Sand dismisses both religion and nationalism as the basis for his identity. Atzmon argues both are legitimate, though they both are perverted in the case of the Israeli state. Nationalism is an authentic "bond with one’s soil, heritage, culture, language", a cathartic experience, not at all "empty" as a signifier. Though nationalism may well be an invention, it is still "an intrinsically authentic fulfilling experience". It can be misused, is often suicidal, but nonetheless, "it sometimes manages to integrate man, soil and sacrifice into a state of spiritual unification." What is especially moving about ex-Jews like Sand, and ex-Israel ex-Jews like Atzmon, is that they are trapped by their own Israeli heritage, whether or not they emigrate. 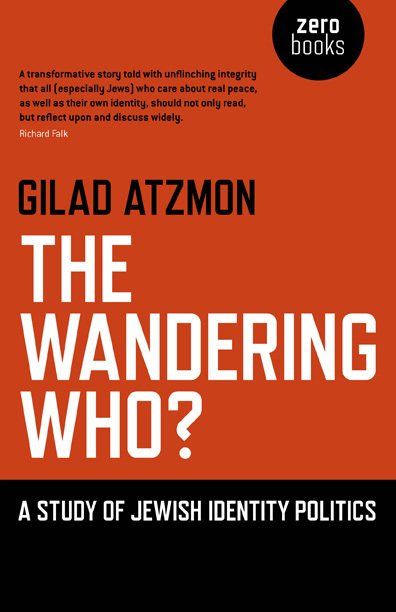 Reading Sand's book in Hebrew, writes Atzmon, "is for me, an ex-Jew and ex-Israeli, a truly authentic experience that brings me closer to my roots, my forgotten homeland and its fading landscape, my mother tongue or shall I simply say my Being." He is confronted not by some "‘identity’ or politics but rather the Israeliness, that concrete nationalist discourse that matured into Hebraic poetry, patriotism, ideology, jargon, a dream and a tragedy to follow." Israel's present state has "robbed him of that Israeliness which was once to him a home." Most still yearn to keep a diaspora Jewish identity alive. Judith Butler’s Parting Ways: Jewishness and the Critique of Zionism (2013) is by a liberal-leaning Jew who feels she must salvage her Jewishness from Israel’s nationalism and occupation policies. "A new Jewish identity might emerge that connects Tel Aviv with New York’s Upper West Side, Berlin, Paris, London and Buenos Aires -- and all of them on an equal footing," writes Carlo Strener in his review. For Sand and Atzmon, there is no "new Jewish identity" possible, because there is no diaspora. French Jews are French. Canadian ones are Canadian. It's fine to be a believing 'person of the Book', and even an Israeli, speaking Israeli (really a new language) and being a citizen of a well-behaved multi-ethnic nation state, based on universal norms, like France or Canada. But everyone eats matzo balls already. Assimilation is not like extermination, despite Golda Meir's cries of "Wolf!" Non-religious Jewishness will continue to evaporate, along with Christian and Muslim identities for those who abandon their faith. There is no shame in calling oneself an ex-Christian or ex-Muslim. 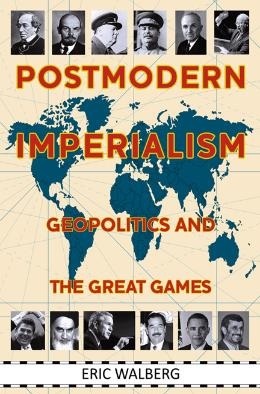 Anti-Zionists "rightly see [Zionist] policies as threatening the renewal of Judeophobia" that identifies all Jews as a "certain race-people, and confuses them with Zionists.”** Yes, but, as Atzmon argues, this "confusion" is part of the agenda, pushing Jews outside of Israel to support Israel unthinkingly and accept the resultant resentment they experience as "anti-Semitism". The Jewish signifier undermines the anti-Zionist one. Slots muddy things. 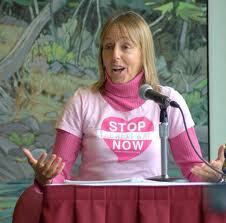 Medea Benjamin, a "one percenter, a nice little Jewish girl" founded the now legendary peace group Codepink. QAIA (Queers against Israeli apartheid) folded when its organizers realized by highlighting their 'gay' signifier, they were doing more harm than good. The queers don't have the luxury of renouncing their queerness, but thoughtful Jews like Benjamin similarly downplay their own tribalism, and Sand and Atzmon have renounced it, as the honorable way out of their Catch-22. The issue of renouncing Judaism is as old as Christianity. The apostle Paul began the process of renouncing Jewishness, and as such is most detested by Jews. His dispute with Peter: "You are a Jew, yet you live like a gentile and not like a Jew. Why force gentiles to follow Jewish customs? (Gal. 2:14) There was no conception of secular, so he attacked the law-centred Judaism, arguing that the laws of Moses are not adequate to reconcile people to God. The law could not break the enslaving power of sin. Only conversion to Christianity could. The free Israeli passports for Jews is reminiscent of North American German immigrants in 1930s going back to Germany as national socialists and welcomed, or working as 'sayonim'/ agent in the West. Today, Zionists don't care if you're anti-zio, as long as you keep identifying as a Jew (preferably secular/ reform). * Gilad Atzmon, The Wandering Who?, Zero Books, 2011, p70. 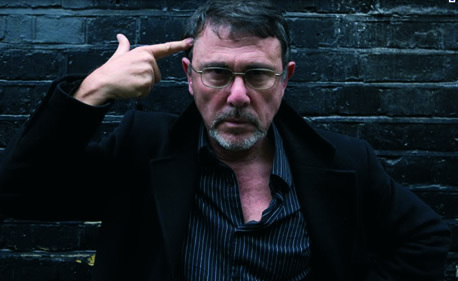 ** Shlomo Sand, How I Stopped being a Jew, Verso, 2014, p94--95.